Long term freelance clients, easier said than done? 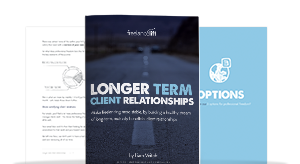 In this course we break down how to create longer-term, mutually beneficial freelance clients by adopting a 'partnership' mentality and ensuring repeat projects are more common. A lot of us talk about income stability without actually understanding what the over arching purpose of income stability is.I like to reframe it as creative and professional freedom and it's something we all crave. In this video we'll look to recap our position on the 'Partner vs Laborer' concept.Understanding this - and assuming you wish to be the 'partner' of your freelancing clients - is the first step on the 'path to partnership'. What are the traits you'll need to display to ensure you're seen as the partner rather than the laborer?Moreover, how can you positively influence your clients to ensure you only end up with 'good apple' clients? If you take the time to truly understand your prospect’s space and current situation, you’ll have the inside track on what makes them tick, what an average customer is worth and how your work will make an impact.You have the ability to speak to their sensitivities and a much greater chance of developing a longer-term relationship. 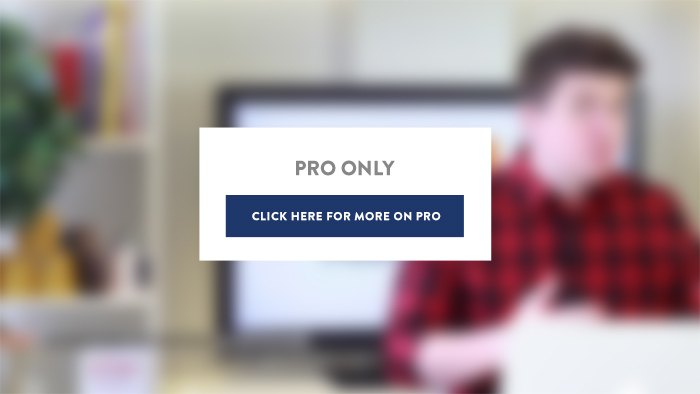 How do you ensure your freelance client is completely inducted into our way of doing things and is clear what’s expected of them?Onboarding gives everybody that clarity to start a project with gusto. Over delivery and excellent service are to be encouraged and applauded, but you need to make it clear that this is not normal practice. As a partner, you should already be doing what you can to maximize the lifetime value of each of your clients by looking towards the long term and by investing in the relationship.This is especially helpful for repeat orders for the same product, but what opportunities do you have for maintenance options, retainers, ‘refresh’ work, consultancy or other value-add activity a client can be given the choice to sign up to? How many of these options are you offering?